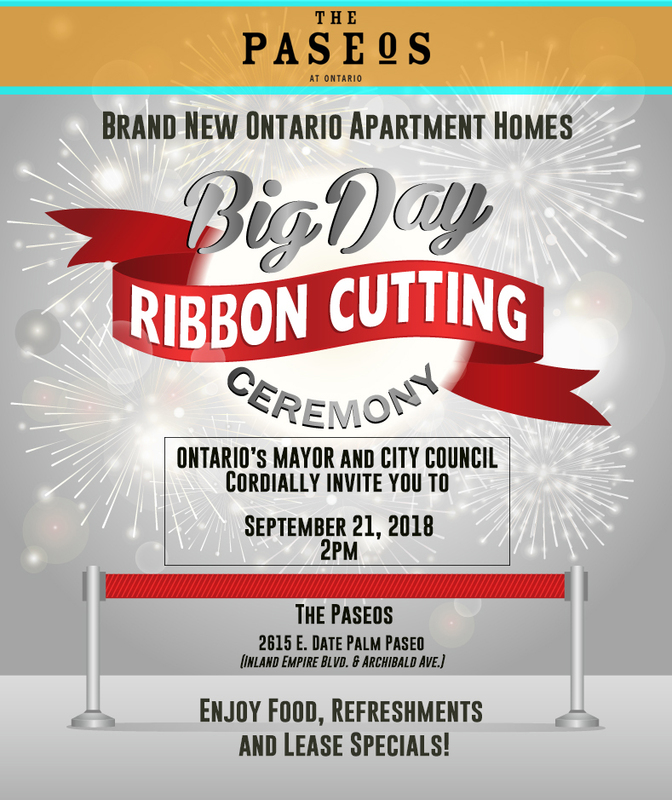 Join Ontario's Mayor and City Council for The Paseos at Ontario Apartment Homes ribbon cutting ceremony. 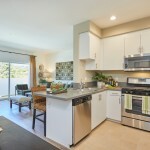 Join us on September 21st from 12pm -5pm and enjoy food, refreshments, and same day lease specials! The new kid in town is now open and leasing for immediate occupancy. My fiancé and I just visited The Paseos at Ontario and it was amazing. Laureen was absolutely awesome and friendly. This property has everything you need and the view is great. I want to thank Laureen for making this experience great for us and providing us with the all the information we needed to make our decision on putting in an application.